Let this guide, be what it is, a guide. This will help guide you step by step through picking the right drinkware favor, the proper design, and the perfect color. 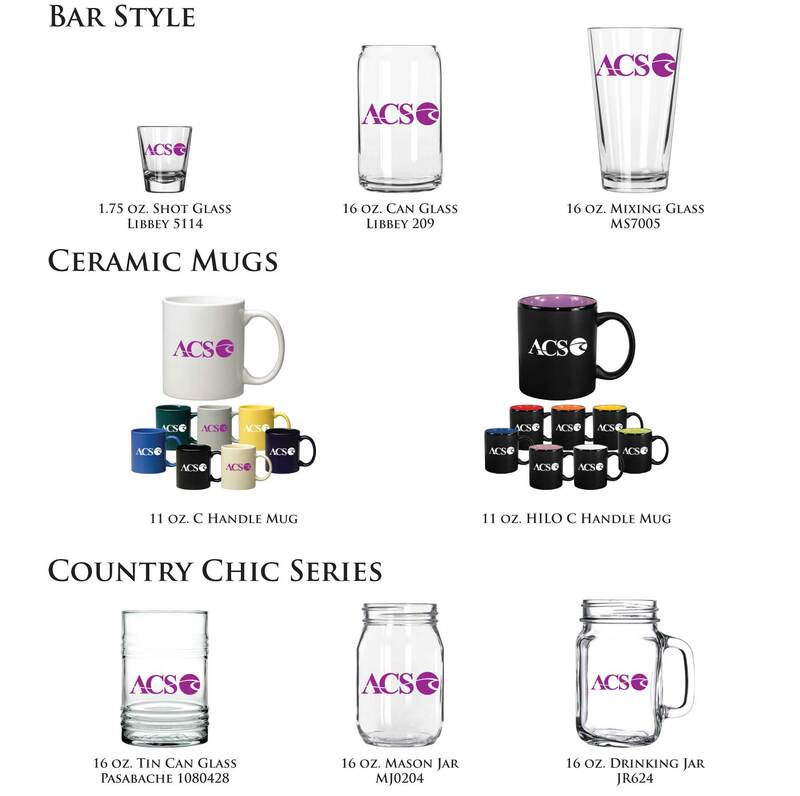 We work with a wide range of drinkware, designs, and colors, so that we can provide the perfect favor for your guests. In here you will find our recommended ideas, but ultimately we are here to work with your ideas. If you don’t see anything you like, just reach out and we will work with you to help you get what you need as best as possible. 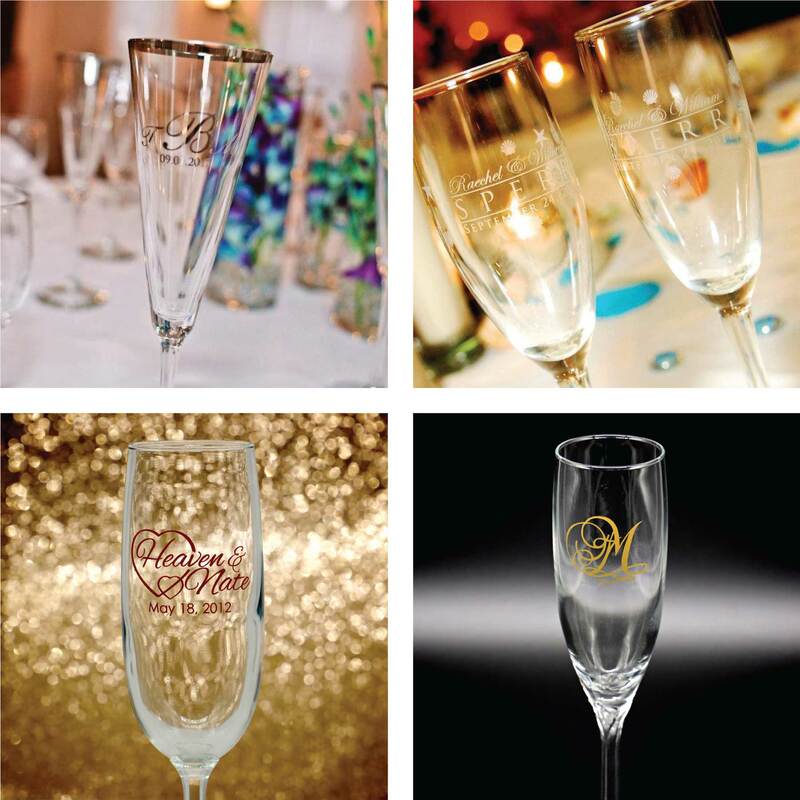 Picking the right drinkware for your big day doesn’t have to be a hassle. 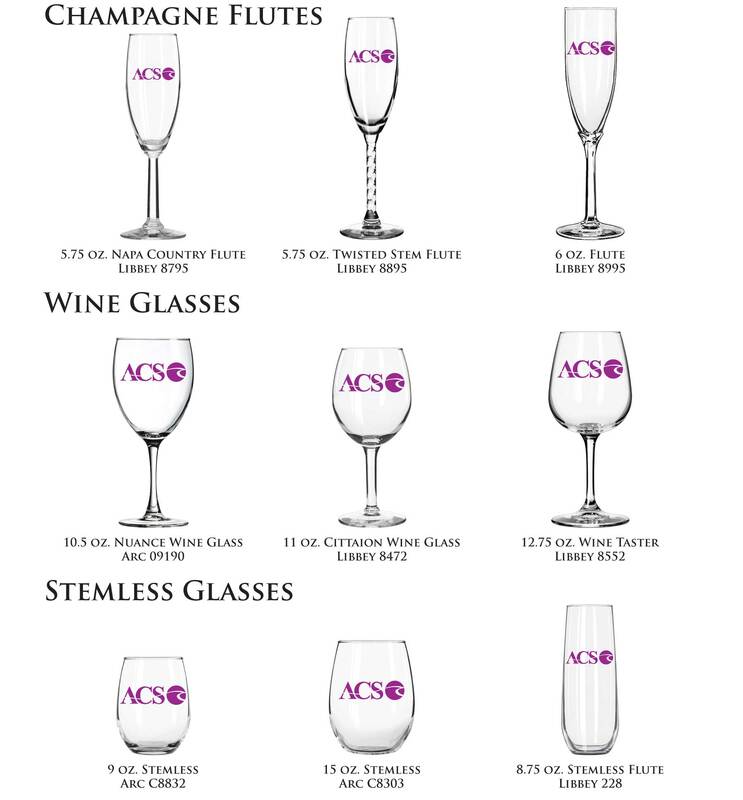 From champagne flutes, wine glasses, to mason jars, and ceramic mugs, our large collection has the perfect option for you. We understand not every wedding is traditional. So why should your drinkware? Here are some recommened items that are sure to impress your guests and compliment the look and feel of your big day. 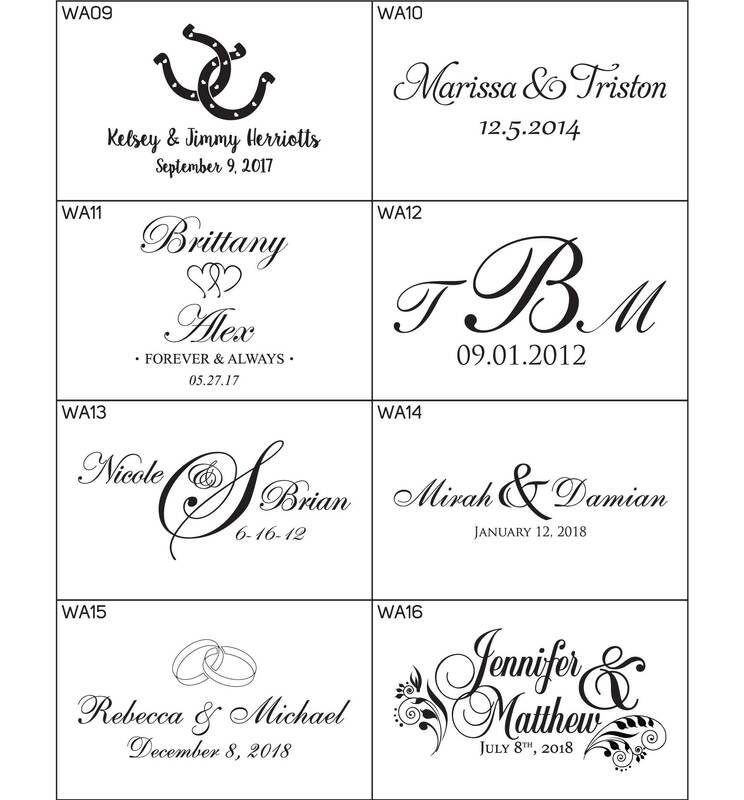 Don’t settle for just a generic name and date for a design. Add some character and design to match the theme of your wedding. It’s all about the details. Choosing the right imprint color can really bring the whole thing together. Our colors range from Satin Etch, to Matte Gold, Matte Silver and Matte Bronze. 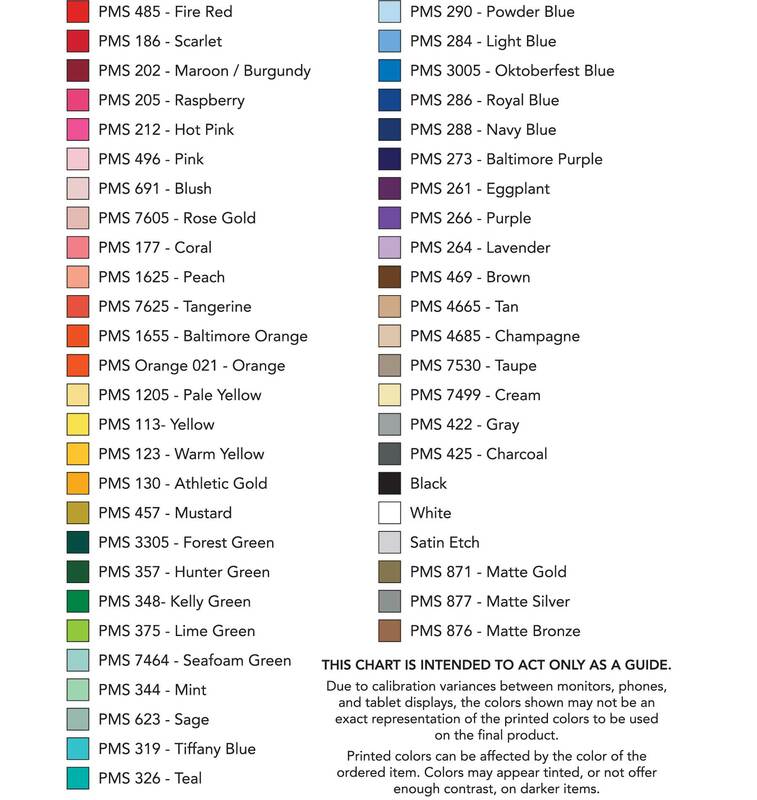 For plain colors, we utilize the Pantone matching system to ensure proper and accurate color building and accuracy. 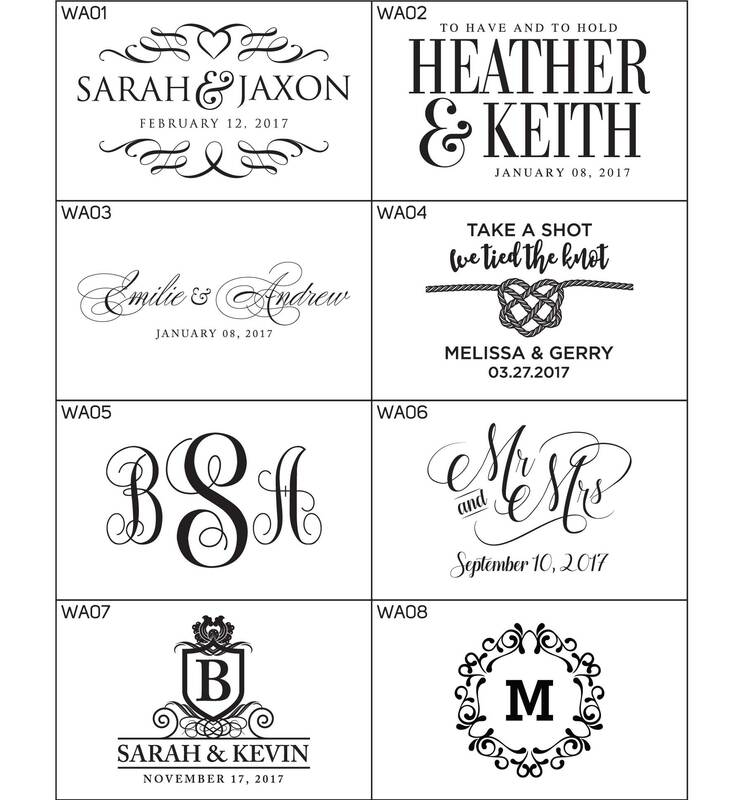 Start your order for custom imprinted wedding drinkware / favours today by using the contact form below.